If you own a Jeep (we’ve owned 3), especially a Jeep Wrangler (we’ve owned 2), then you already know the appearance of the soft top and windows plays a large part in determining how good your Jeep looks. And how it will look for years to come. Here’s everything you need to know about how to clean the windows on your Jeep Wrangler, plus which products are the best to use that won’t damage your soft top windows. Perhaps the easiest (and safest) way to care for your vinyl soft top and its plastic windows is to clean the entire surface with a mild dishwashing detergent and warm water. 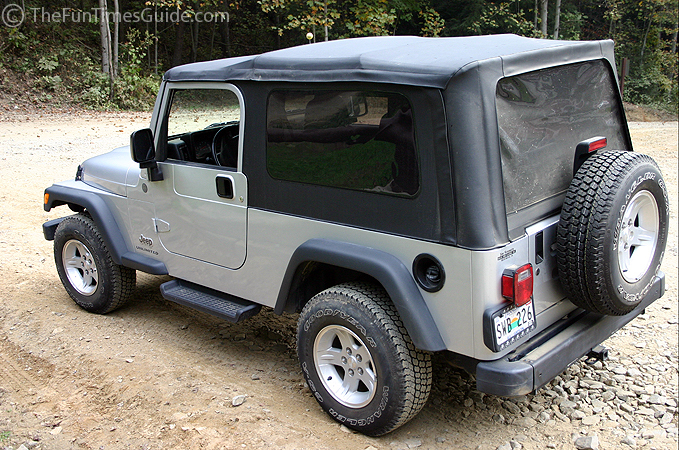 You could also choose a product specifically designed for cleaning Jeep windows and soft top convertibles (see below). So, which product should you use to clean your Jeep’s windows? There are many to choose from, yet not all are safe for the windows, and some will even cause Jeep windows to fog, yellow or crack. 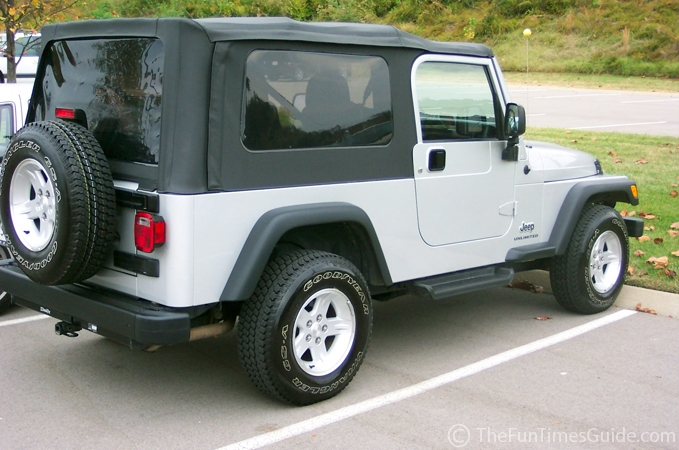 As longtime Jeep owners, we have only used Jeep-specific cleaning products when we wash our soft top and its windows. As a result, our windows have always looked great because of it. Not only is the application process is easy — just spray it on, then wipe it dry — these products will remove even the toughest soils, while repelling dust and dirt and preventing mildew from forming on your soft top. At the same time, they leave no residue, leaving you with a fresh clean surface. If you plan to own your Jeep for many years, and you care about how it looks, then chances are, you too will only want to use “the best” products when cleaning & maintaining your Jeep. Prevents soft top from fading from exposure to UV sun rays — the sun’s UV rays break down fibers in threads and weakens vinyl over time, so RaggTopp acts like sunscreen for your soft top. It’s simple… just spray it on, then wipe it dry. Removes the toughest soils & stains. Since it doesn’t contain silicone, RaggTop cleaner will not harm the paint, chrome, glass surfaces, rubber, vinyl or plastic windows of your vehicle. Repels dust, grease and dirt, while also lessening the growth of mildew. When used with RaggTopp Protectant afterwards, you’re applying a complete system of protection for your Jeep. Utilizes a unique “colloidal” action to lift and suspend oil, grease and dirt. North America’s largest RV and truck cap manufacturers, van converters, and boat builders use 303. It does not contain soap, detergents, toxic organics, phosphates, nitrates or caustics; also no silicone or petroleum solvents. It does not contain soap, detergents, toxic organics, phosphates, nitrates or caustics. Protects against rubber’s worst enemies: UV light and ozone. Actually lifts, separates and holds in suspension the oils, grease, dust, soils, etc., which have been penetrated the surface of your soft-top & windows. There are no special storage requirements. It’s non-hazardous, non-flammable, non-toxic, non-explosive, non-fuming, non-caustic and 99% biodegradable. Completely safe to use with no effects from over exposure. Good for both, vinyl and fabric convertible tops. As an added bonus: 303’s colloid cleaners can also be used as a hand cleaner, to deodorize and clean pet stains from carpets, even for washing fruits and vegetables to remove residue and dirt prior to eating. 303 cleaners are safe for anything that water will not damage. Works best when used with 303 Protectant afterwards. Penetrates deep into the surface of the plastic to remove dirt while filling the voids with a micro-thin layer of protective wax. Developed for use in the aviation industry – specifically, for cleaning and protecting aircraft windshields and painted surfaces. Recognized as one of the most effective plastic cleaners, protectant sand polishers on the market. Seals the pores in plastic surfaces with a micro-thin layer of shiny, protective wax, keeping the shine/clarity in and dirt out. Just spray on the plastic surface, wait a few seconds, then wipe clean. Regular use will help prevent hazing, yellowing and oxidation which diminishes the plastic’s luster, strength and appearance. 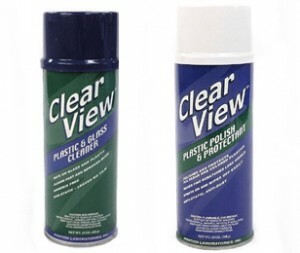 Cleans and protects plastic windows — in one step. Plastic becomes resistant to dirt, debris, oil, and scratches. Its anti-static properties repel dust and lint. won’t damage your plastic like harsh household cleaners, because there’s no ammonia, alcohol, or other harsh products. Safe to use on all plastic and vinyl windows. Gives you a cleaner, more lustrous finish than ordinary cleaners. Leaves no smears or smudges. Plexus makes colored plastics vibrant, clear plastic becomes virtually transparent,and plastic paints gleam like new. Water beads up and slides right off when it rains. Comes in an aerosol can which is easier than a pump and it won’t drip. Works great on textured surfaces like a Jeep Wrangler soft top. After cleaning, the entire surface is smooth and shiny; you can tell it’s protected without feeling sticky or looking cloudy. It fills in fine scratches in your Jeep’s vinyl windows while protecting from future scratches. It’s ammonia-free so it can be used on all plastic, glass, and painted surfaces… including motorcycles and sunglasses. Works extremely well on dried up bugs. It’s an incredible glass cleaner on its own. The cost is half that of most other Jeep cleaners. 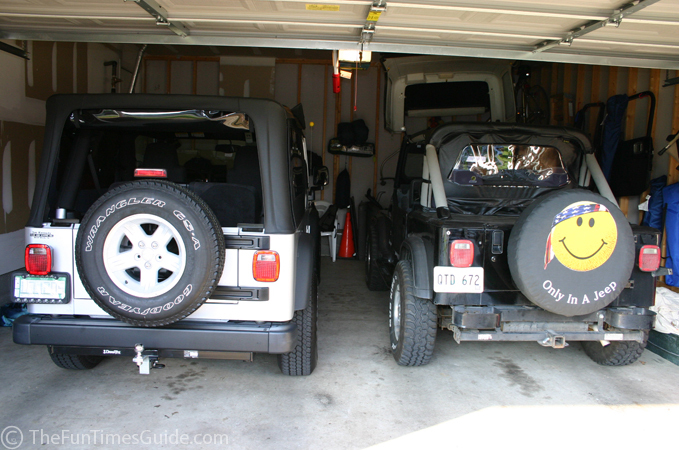 BONUS TIP: As an extra precaution, prior to storage (say for the winter), always go through the process of cleaning and protecting your soft top and Jeep windows so they will still appear soft and supple when you take them out of storage.